The Three Illusions | Where Enlightenment Meets Science. 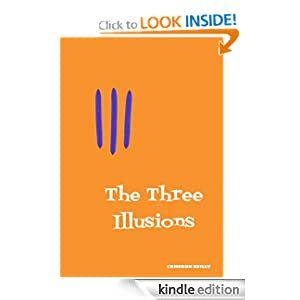 Welcome to the website about the book “The Three Illusions”. This book explains how to eliminate fear, guilt, anxiety and anger from your life by using a philosophy based on science. Here you can read excerpts, ask questions and contribute answers. I have set up a Facebook Group for us to discuss the concepts and ideas contained in the book. Feel free to join up! The entire book is available from Amazon in ebook format and you can buy a paperback version via Lulu. You can listen to my podcast with my buddy Ray Harris. Read a couple of early reviews. For those of you without an iPad or iPhone or Kindle device, you can download the Kindle app for PC or Mac for free from Amazon’s site.